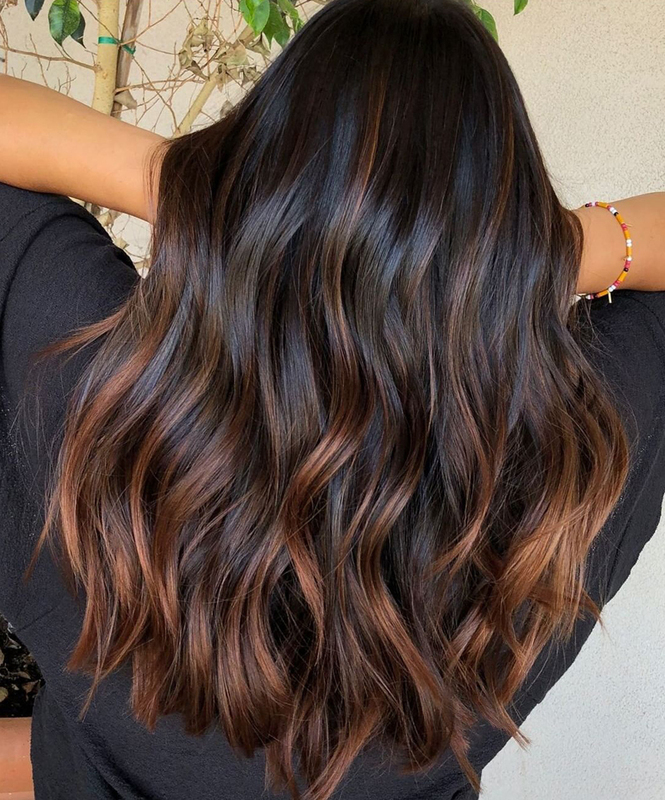 If you keep up with the latest and greatest hair color trends, you’ve likely noticed that as of late, coffee-inspired hair colors are making quite the name for themselves. It shouldn’t be too surprising, after all, we’re all pretty dependent on our caffeinated beverages of choice—it’s only fitting that they’d seep into other areas of your life, like your locks. 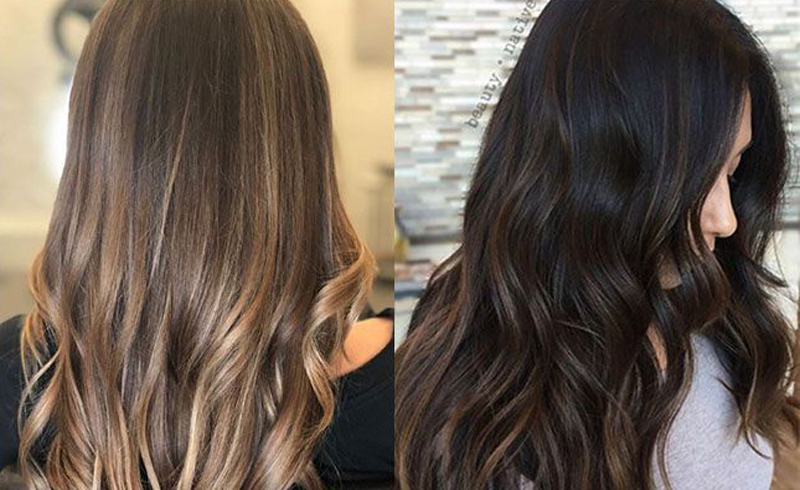 One of the best things about these hair colors with a kick is that they often feature beautifully blended highlights that mimic how coffee looks once you add your milk and sugar. Yum! Don’t let anyone tell you brown hair is boring! Just think of a cup of coffee and how many different shades it can be. If you’re looking for a way to go brunette (or spruce up your currently brown hair), coffee brown could be your color. The best part is, you aren’t limited to a single shade of brown. You can take inspiration from everything from super sugary drinks to espressos—it’s up to you! If you want a milk-and-sugar coffee color…try the L’Oréal Paris Excellence Creme in Dark Golden Brown. If you want an espresso color…try the L’Oréal Paris Superior Preference in Cool Darkest Brown. Have you heard of bronde hair? Well, a blonde roast hair color is a variation on that trend! It’s a stunning shade that blends brunette and blonde shades into a seamless cool-toned color. Rather than solely having brown at the roots, which can look a bit jarring, this blonde roast color features brown and blonde tones that are intertwined from root to tip for a color that’s full of natural-looking dimension. 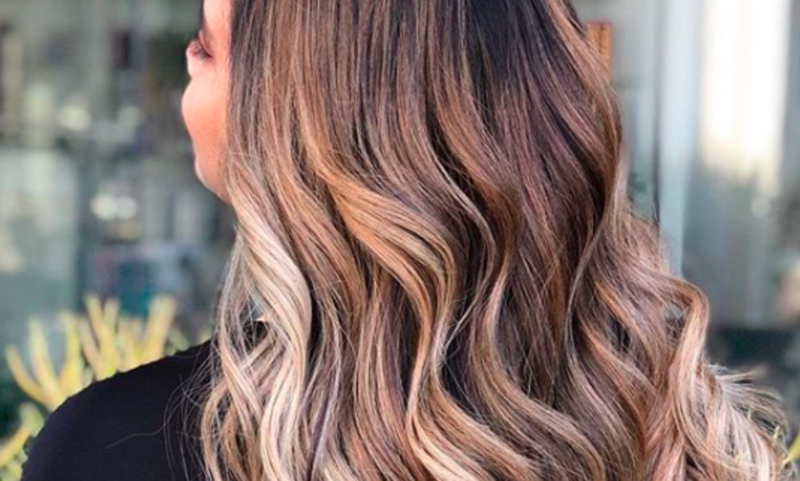 Editor’s note: Blonde roast isn’t the easiest hair color trend to do yourself, so you may want to book an appointment with a pro. Trust us, the results will be well worth it! If you do think you can DIY this hair color, keep in mind that you’ll need to (at least partially) bleach your hair. We recommend the L’Oréal Paris Colorista Bleach for at-home coloring. Cold brew hair was one of our absolute favorite shades for fall, and we’re still just as obsessed as we were then. As you might have predicted, this hair color trends mimics your go-to cold, caffeinated drink. When done right, the color almost uncannily resembles the hues created when you mix your chilled coffee with a splash of milk and some ice. One of our favorite things about this trend is that it’s totally customizable—just like your coffee. If you like black coffee, your cold brew will be dark with reddish hues mixed in. If you like really sweet coffee, your cold brew will be lighter. You can take your inspiration from any variation of cold brew—and in case it wasn’t obvious, yes, cold brew hair will necessitate a trip to the salon. Even if you usually keep your coffee order simple, sometimes it’s nice to treat yourself to something a little sweeter. And since those orders aren’t an everyday thing, why not supplement with your hair color? While you may not want to drink a caramel latte every day, you can rock a hair color inspired by this indulgent drink on the daily! Take our word for it, with its seamless blend of rich brown and buttery blonde, you won’t want to part with this shade after just one—or even a few—days. Admit it, you’re a little bit basic—at least in that you love when fall hits and you can finally have a pumpkin spice latte again. And you aren’t alone in that! Pumpkin spice is clearly popular, as evidenced by it being used to (literally) spice up treats, candles, and—you guessed it—hair color. That’s right, now pumpkin spice is a hair color, too! 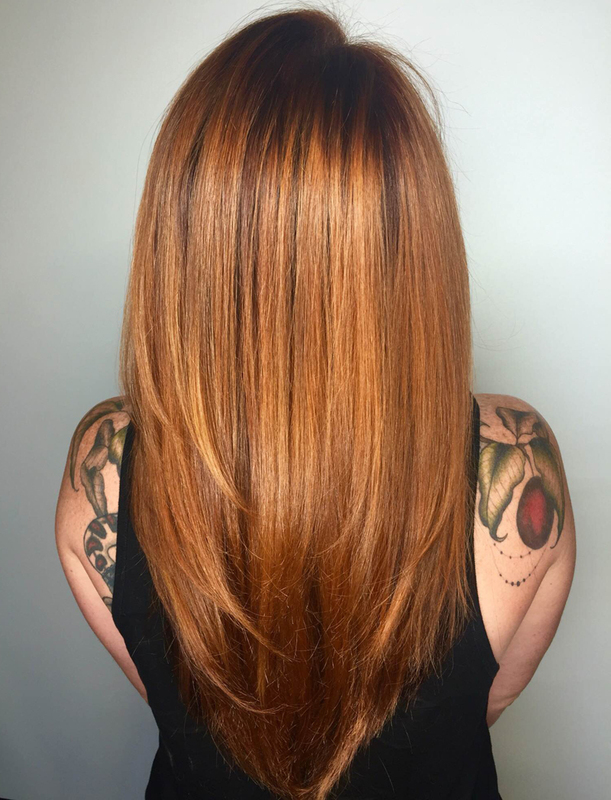 If you want to don a hair color inspired by your favorite festive drink, you totally can, with this shade featuring hues of red and copper. (Lucky for you, red also happens to be seriously trendy for wintertime! See for yourself in our article, 6 Best Red Hair Color Ideas for Winter.) Also important to note, you can achieve this hair color trend at home. Pick up a box of the L’Oréal Paris Féria in Power Copper and follow the included instructions for your very own pumpkin-inspired mane. Coffee crumb cake hair may not be a coffee hair color, per se, but it’s definitely related! If you’ve already sported a coffee-inspired color and want to try a coordinating, snack-like shade instead, coffee crumb cake hair is for you. Want to know exactly what coffee crumb cake hair is? This hair color trend features dark brunette roots, flowing into balayage highlights in varying shades of ash blonde. The color is also categorized by face-framing strands in an ultra-light blonde hue. So pretty, you might even say this color is delish!